Lieutenant (j.g.) Chythar Skyfire is a medical officer aboard the USS Excalibur-A. He is passionate about science and languages. Although he serves as a Starfleet officer, he has mixed feelings towards the organisation as he feels it robbed him of time with his mother, who died while on assignment with them. Since joining the fleet in 2390 he has also served aboard Starbase 118. In his spare time, he can often be found making chainmail or reading in his quarters, although he also enjoys conversations with his crew mates. His best friend, Sal Taybrim, serves aboard the USS Darwin-A. His middle name, Daniel, has earned him the nickname “CD”. 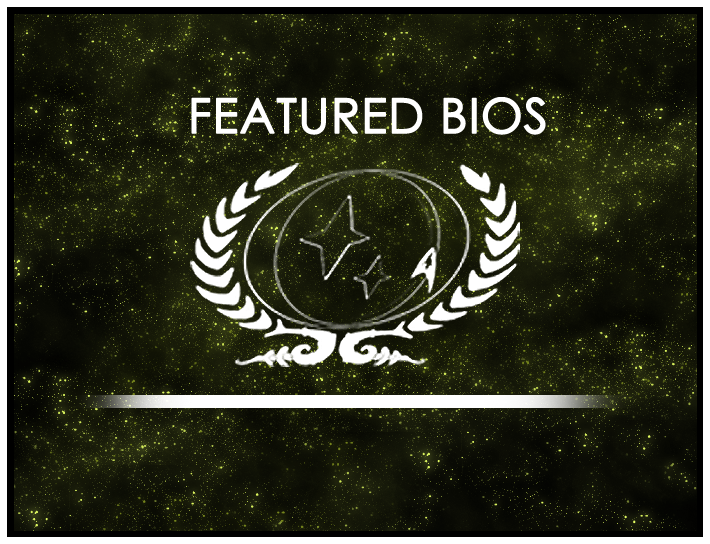 This month, our star pick bio belongs to Lieutenant Commander Eerie, so congratulations to him!! Lieutenant (j.g.) Skyfire’s Bio will be displayed on the wiki’s front page for the month of January. As always, you can find out more about the contest at its wiki page or in its forum. Round 4 is now open, so be sure to drop by and submit your own nominations!